Barkby Seconds slid down to sixth in Division Five East following a disappointing defeat at home to Enderby on Saturday. Overhead conditions saw skipper Adam Cookson bowl first and a breakthrough soon came when Amit Barchha (1 for 19) took a return catch. Barkby soon introduced spin with Doug Botting and Eamonn Bourke, and the former took a wicket, clean bowled, in his first over. But missed catches were to prove costly as Barchha, Ben Hollis and wicket-keeper Dan Lever, all spilled chances. Botting (2 for 37) burgled an lbw, but Bourke (0 for 15 from eight overs) somehow went wicketless. 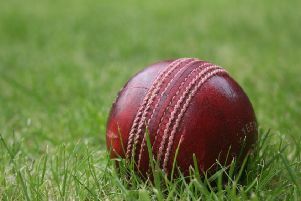 Max Carmichael’s pace took three late wickets and the returning Cookson also took a wicket as Enderby closed on 164-7. The run chase started badly when Hollis (9) was caught in the slips, and Jack Wood was bowled for four (20-2). Conor Percy was caught pulling for nine and Matt Harby was also caught for 15 before Bourke was farcically run out. Carmichael hit out, putting on a good 50-run stand with Lever before the former was bowled for 37 (106-7). Alex Smithard went for a duck, Lever was bowled for 28 and Barchha also went without scoring as Barkby lost their final three wickets for as many runs. Barkby travel to bottom side Croft on Saturday (1pm).